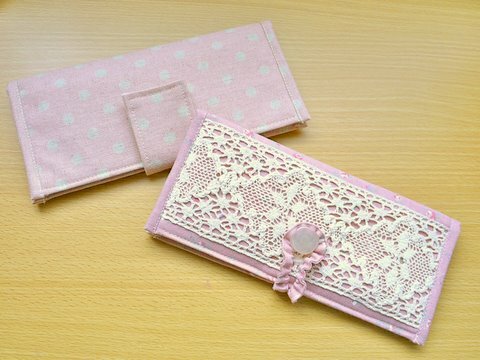 I’ve often heard about Merchant & Mills patterns and sewing supplies, but have never found the patterns here in Japan. The closest that I can get was several T-shirts by Uniqlo when they collaborated with Merchant & Mills. 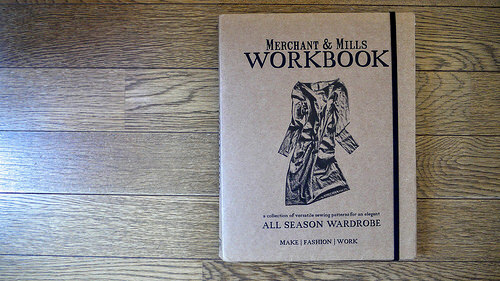 So I was very happy when they contacted me to review their newest book, Merchant & Mills Workbook. 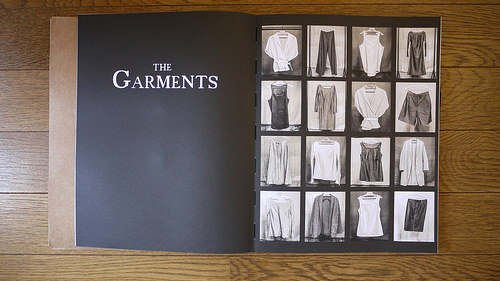 The book has six paterns for vest, dress, skirt, top, jacket, and trousers. 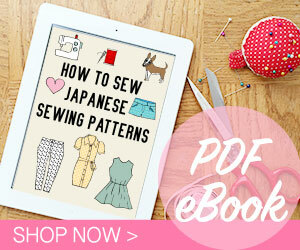 Four of the patterns have style variations so you can get more from this book. 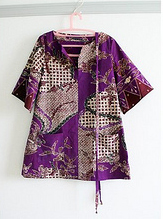 Although the patterns are simple, they are aimed to develop new sewing skills. So it is perfect if you are beginner who wants to learn more. Merchant & Mills also offered to send me some fabric to make something from one of the patterns. I decided to make The Strides pants with Aizu fabric, medium weight Japanese slubby cotton in charcoal. 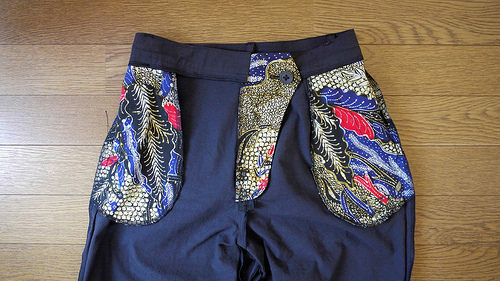 For the pocket lining and fly facing, I used Indonesian batik fabric. The patterns are in sizes 8-18, and unfortunately the smallest size is still too big for me. So I graded down the pattern one size to size 6. 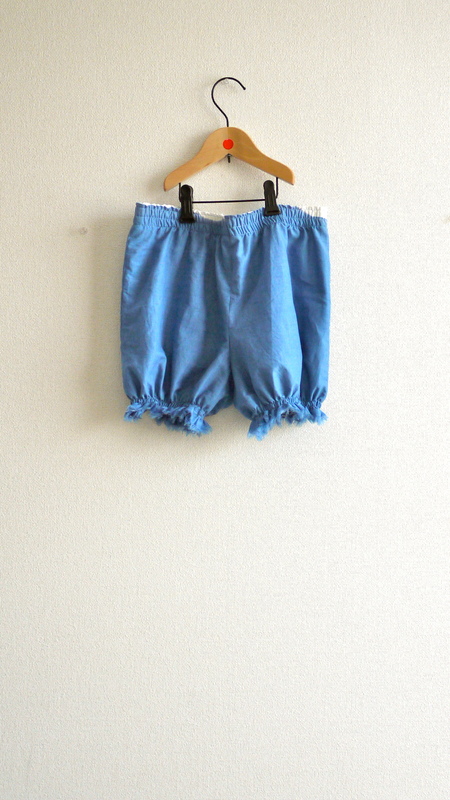 The trousers are full length with style variations for shorts, but I decided to cut the hem about calf length. I also shortened the seat around 1 cm. Instead of making the trousers the way I used to do, I followed the instructions quite closely. The instructions are quite clear with hand-drawn diagrams. I love the hand-drawn pictures! – no grainline mark on the back piece. 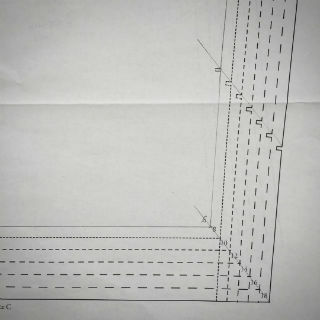 – no grainline mark on waistband pattern but probably not necessary as it is a straight piece and there is fabric placement diagram. – there is a pocket back piece in the pattern sheet, but it is referred as pocket facing in the instructions. 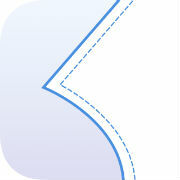 – instead of being mentioned, the seam allowances are marked by notches. I think the reason for this is because it may vary. However, I prefer the seam allowances are mentioned as well in addition of the notches. 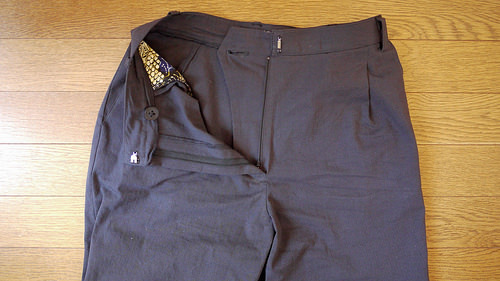 For these trousers, the seam allowances are 1.5 cm all around. Other than those things that I mentioned, I’m quite happy witth how the trousers turned out! My favorite part is the fly facing with button inside that is similar to men’s trousers. I’ve never made this kind of fly facing before, so I’m happy that I learned some new things. And of course I should wear the tousers with my Uniqlo Merchant & Mills T-shirt! 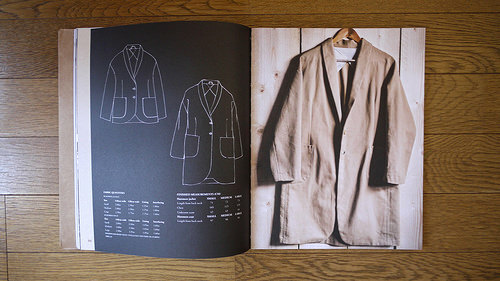 Pattern is The Strides – Merchant & Mills Workbook, graded down to size 6.